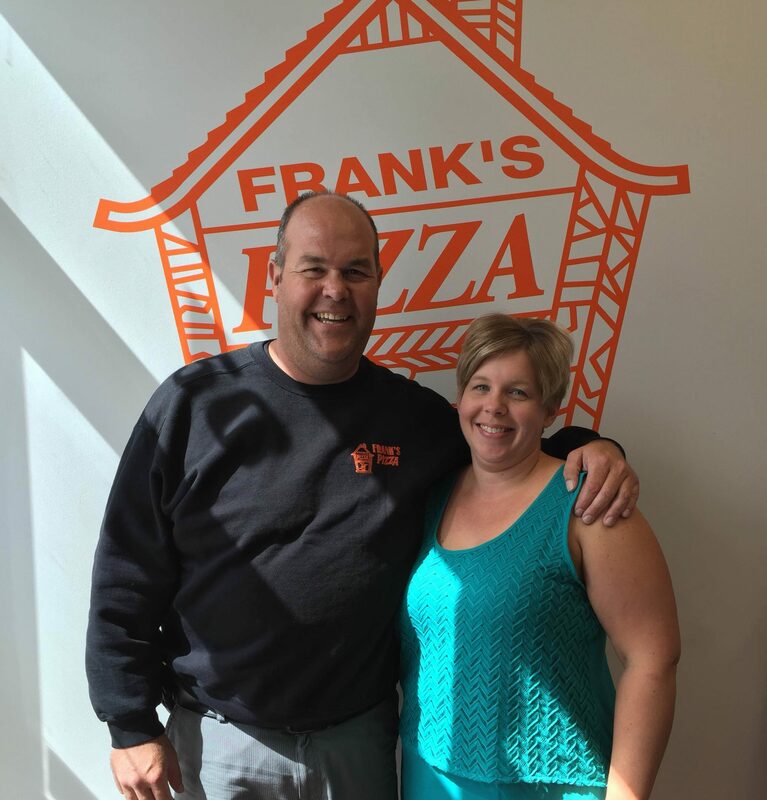 Both Jason and Kelly Boyd grew up ordering Frank’s Pizza in Selkirk but little did they know they would eventually buy the restaurant and make it a chain. This husband and wife duo purchased the original Selkirk store in 2000 and opened a second location in Winnipeg in 2012. Their hope was to continue to build on a business that was already an institution in Selkirk. Frank’s Pizza is named after Frank Lipischuk, the original owner, who believed he had a great pizza to share with residents of Selkirk. He opened his store in 1972 at 381 Main Street and operated it for 27 years. But even after he sold the business to Jason and Kelly, he was still very involved. “Frank was part of the business even after we bought it,” Jason says. “He was a wealth of knowledge. He could tell by a phone number where that person lived and what they ordered,“ he recalls. “Picture a frump Ukrainian man with pizza sauce on his shirt delivering your pizza. That was Frank,” he laughs. Five years after he retired from the business, Frank passed away. Jason and Kelly think of him often throughout their days working in the business he built. “We miss him and we often wonder what Frank would think of Frank’s today,” Jason says. “He was definitely the face of his business,” Kelly remembers. After Frank left the business, the Selkirk location moved twice and a second store was added in the Riverbend area of Winnipeg in 2012. Customer service was a priority for Frank and it continues to be for Jason and Kelly as well. 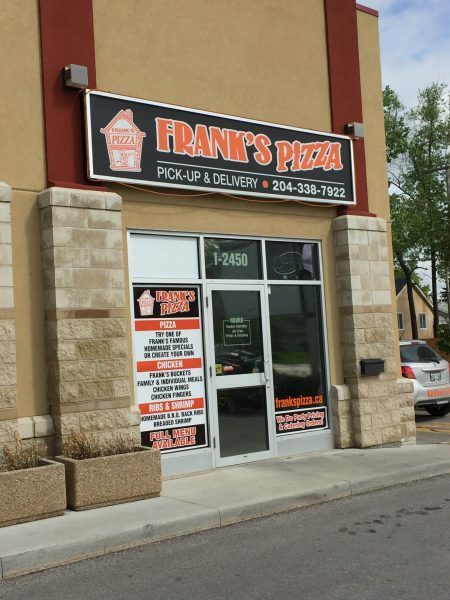 The most popular pizza in both the Selkirk and Winnipeg location is the Frank’s Combination which is made with pepperoni, salami, green pepper and mushroom. There are a few others that come in close second in Winnipeg like the Tyroni, which is named after their son Ty, and the Jason. Well we know who that ones named after! All of the pizzas are made in their stone ovens. 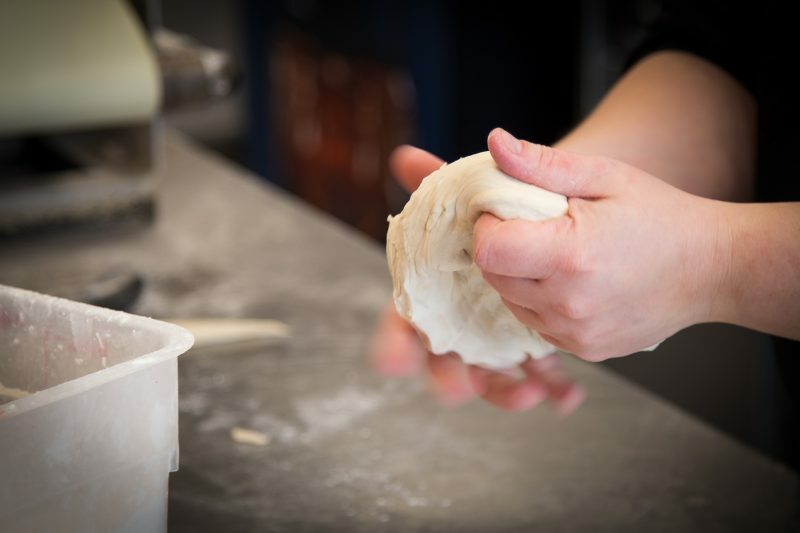 There are no timers or conveyors – this is old school pizza making at its best! 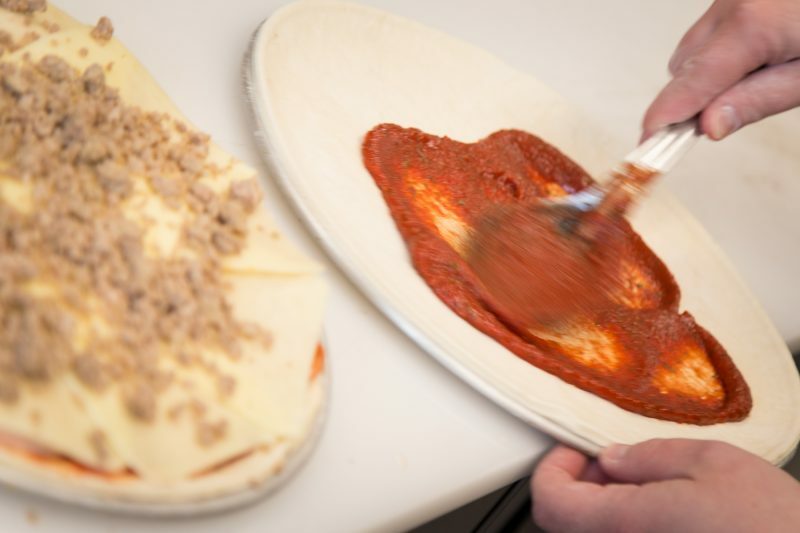 Frank’s Pizza makes all of their own sauces and dough in-house and they also slice all of their cheese and meat. Frank’s Pizza has been using Bothwell Cheese since long before the Boyd family took over the business in 2000. And the way they use the cheese is quite different from most pizzerias. 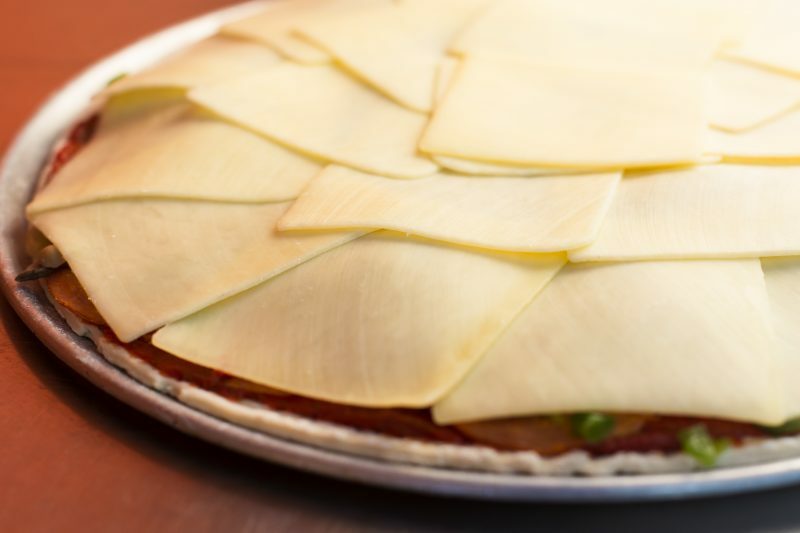 Instead of using shredded Mozzarella, Frank’s Pizza uses sliced Bothwell Mozzarella cheese on all of their pizzas. “We know what it’s like to get local support so it’s also our way of giving back to the community by supporting local companies,” Kelly explains. 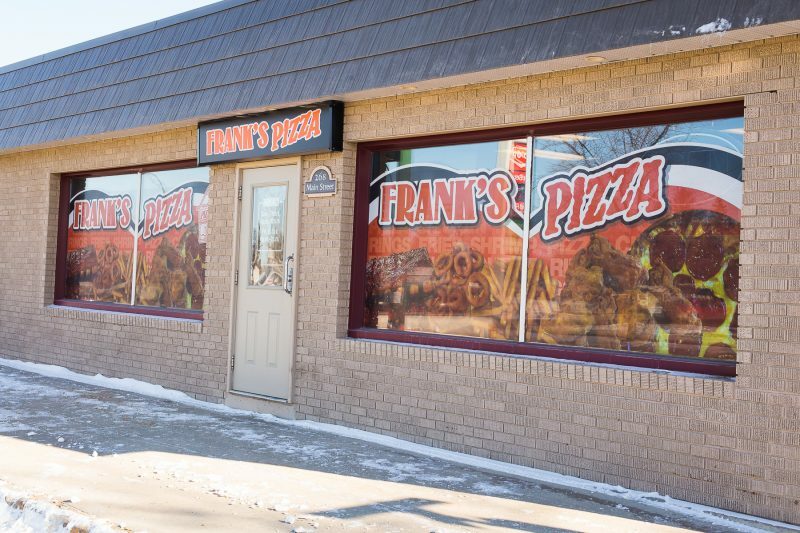 Don’t let the name Frank’s Pizza fool you! They also have a number of other popular menu items that keeps their customers asking for more. Fried chicken, wings, barbecued ribs and poutine are just a few other items on their diverse menu. And if you’re wondering, the poutine IS made with Bothwell Cheese as well. Once in a while, they try to bring in new menu items to see if they’ll fly but their customers are often so happy with their usual order, they aren’t always interested in trying something new. This is especially true in Selkirk! 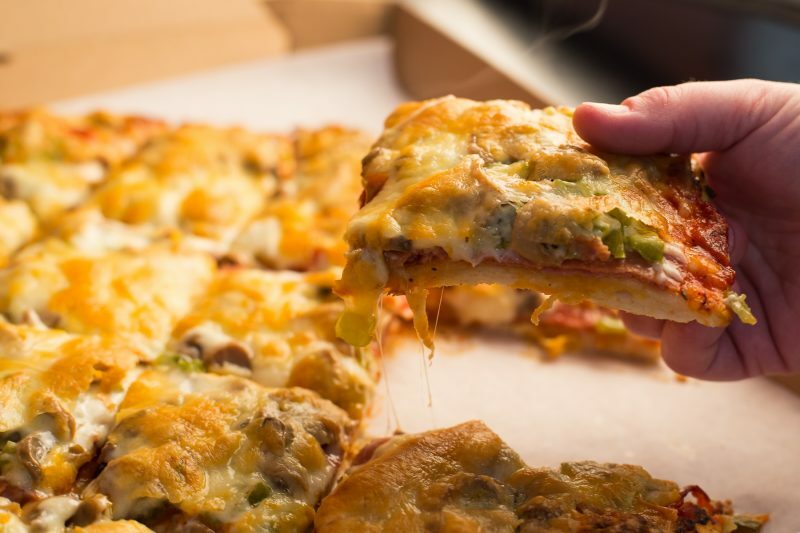 “A friend of ours tried the Philly cheese steak pizza, which was something we were trying out, and he said ‘I had the Philly cheese steak last week and it was so good… But I’ll just have a pep and mush,’” Jason laughs. Jason and Kelly are considering adding a new item to the menu, a suggestion from their friend and customer, Dave Wheeler of 92 Citi FM. 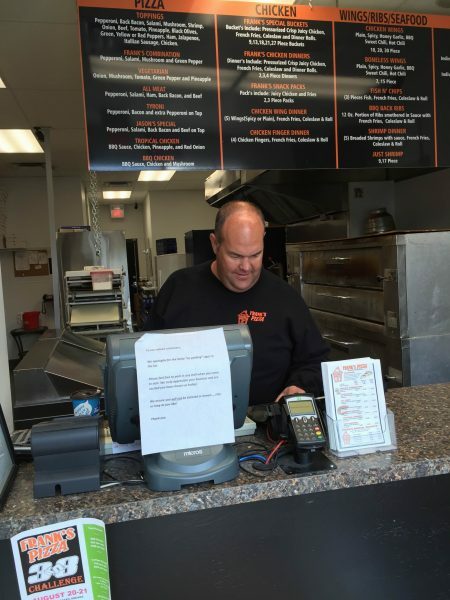 If they can work out the logistics, pizza subs might be the next big thing at Frank’s Pizza! Keep your eyes peeled for that yummy announcement. 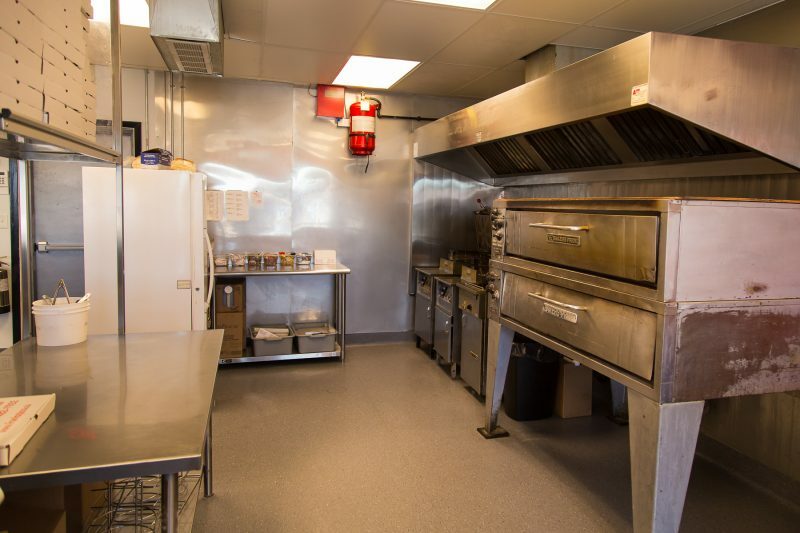 And for more information on Frank’s Pizza, please visit their website.